Back in 2010, when Mick Mulvaney defeated long-time Congressman John Spratt, one of the critiques Mulvaney and his critics levied against Spratt was that he had passed only 4 laws out of the 104 bills he had sponsored. Six years later, it must sting that Mulvaney is now 0-for-64. Is Mick Mulvaney as disappointed in not improving upon this record as those of us he represents? To help save face when confronted when that fact, Mulvaney has been quick to point to the 2015 Improper Federal Payments Coordination Act as his major legislative achievement. It’s a pretty commonsense piece of legislation, expanding access to a Federal database on which contractors should and should not be paid. Connecting disparate sources of data together to create benefits for everyone is sort of what government is there for, despite the cries against “big government” that have become commonplace among Mulvaney’s associates. 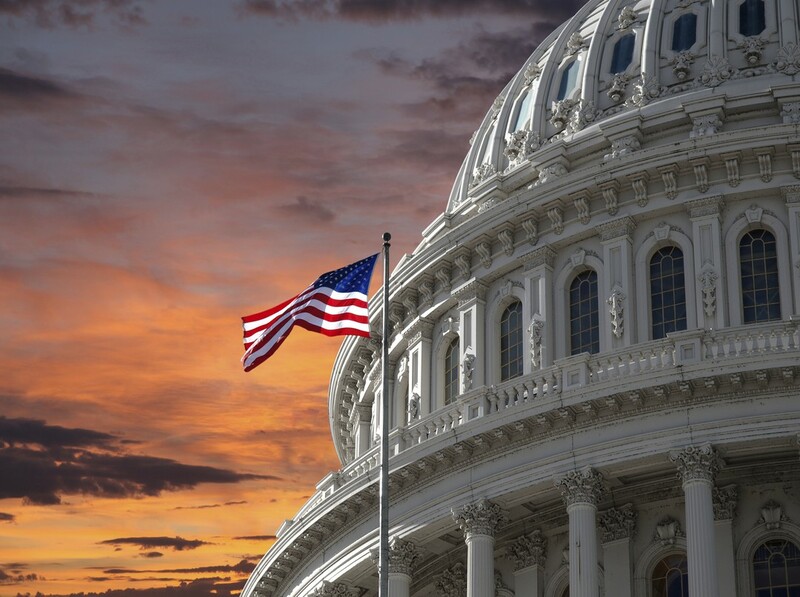 Three months after the Senate version of this bill (S. 614) was introduced in February 2015, Mulvaney and Democrat Cheri Bustos, along with 4 other original sponsors, introduced a bill (H.R. 2320) that was identical, word-for-word. The House bill sat, unseen outside of a committee. Meanwhile, the Senate version, sponsored by Ron Johnson of Wisconsin and Tom Carper of Delaware, passed by unanimous consent. 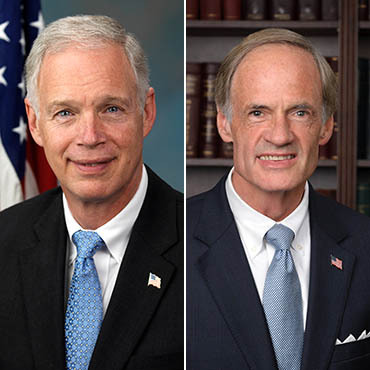 Senators Johnson (left) and Carper (right), who may or may not recognize Mick Mulvaney if they saw him in the Capitol. When the Senate sent their rubber-stamped bill to the House of Representatives, Mulvaney was permitted to introduce it on the House floor. “So, Mr. Speaker, I just want to thank Mrs. Bustos, Mr. Connolly, Mr. Carter of Georgia, and Mr. Westmoreland in the House for helping bring this bill to the floor. Also, I want to thank Senator Carper from Delaware and Senator Ron Johnson from Wisconsin for shepherding it through the Senate. Now, a month away from an election, Mick Mulvaney is trying to take all the credit, pointing to this piece of legislation when asked by a constituent to “name one bill he’s proposed and seen passed in Washington.” It’s almost sad, but that’s all he’s got. 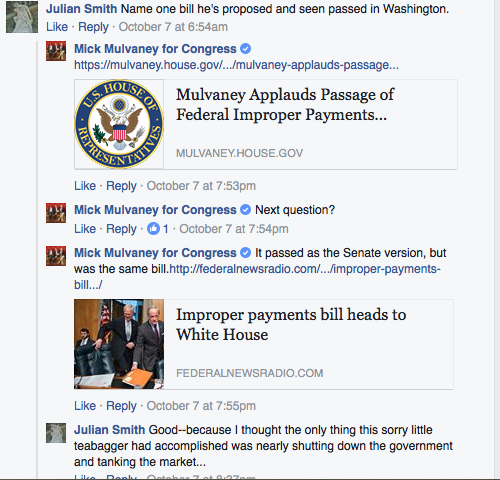 Mick Mulvaney claiming credit (Facebook, October 7, 2016).